My friend Gretchen very brilliantly sent me a book, ‘The Wood’ by John Stewart Collis, a writer and academic, and conscientious objector during the Second World War, who was put to work clearing and thinning an ash wood in Dorset. First published in 1973, with the writing full of flourish, as if written many years before, the book beautifully details ‘the progression of nature that sees each plant – hawthorn, honeysuckle, larch, elder – have its hour’. Here is a quote from chapter two, ‘The Floor of Flowers’. “We call wild flowers common because of their quantity. 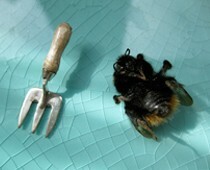 But this is just where we strike the great difference between the productions of Nature and the productions of Man. When we produce many examples of the same thing they are of poor quality and we speak of them as mass-produced. The mass productions of Nature do not fail at all in terms of quality. Take the bluebell. There indeed is quantity. Yet every single year we are freshly struck by their quality. Only a flower-snob could fail to see that any one of those bells on the uplifted belfry is as delicate a construction as any tulip or any rose. I will not say more beautiful, or less, for in this realm of flowers we actually are in the presence of abundant examples of – perfection. I think that perfection is the key to the emotion that flowers cause in us. When a thing is perfect the problem of its existence is solved. Gazing at flowers in a wood an unexpected signal seems to go up; we feel a movement of happiness and hope about everything, there is a suggestion that really all is well, all is right with the world, regardless of the geographical situation of the Deity. It is because of this that all men, even ruffians, feel attracted to flowers. For they do intimate to us that, in spite of everything, all is well. Undoubtedly that is what they ‘say’ to us, and why it cheers us up to look at them. Philosophers say that all the ultimate problems – freedom, immortality, beauty, development – are presented and solved in plants. 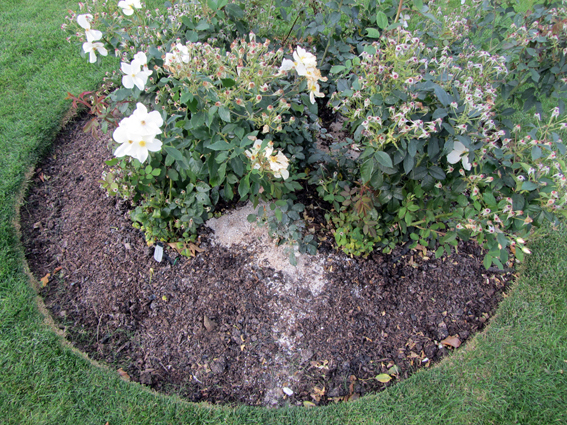 Someone’s ashes scattered in the Rose Garden at Kew.